Something Good in the World: Website has many helpful links! 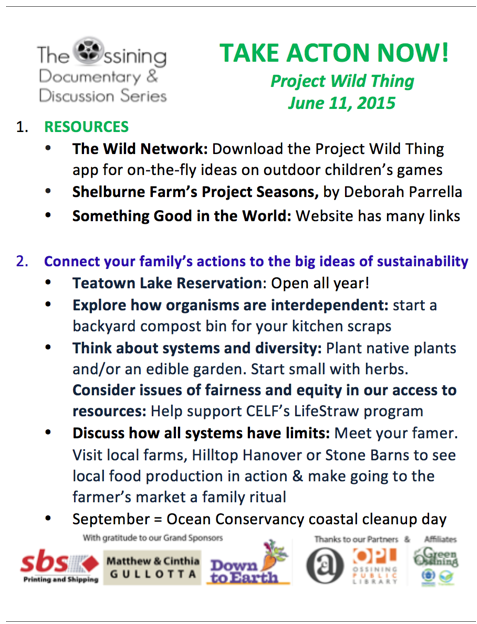 Connect your family’s actions to the big ideas of sustainability! Teatown Lake Reservation: Open all year! Think about systems and diversity: Plant native plants and/or an edible garden. Start small with herbs. Discuss how all systems have limits: Meet your farmer! Visit local farms, Hilltop Hanover or Stone Barns to see local food production in action, and make going to the farmers market a family ritual!